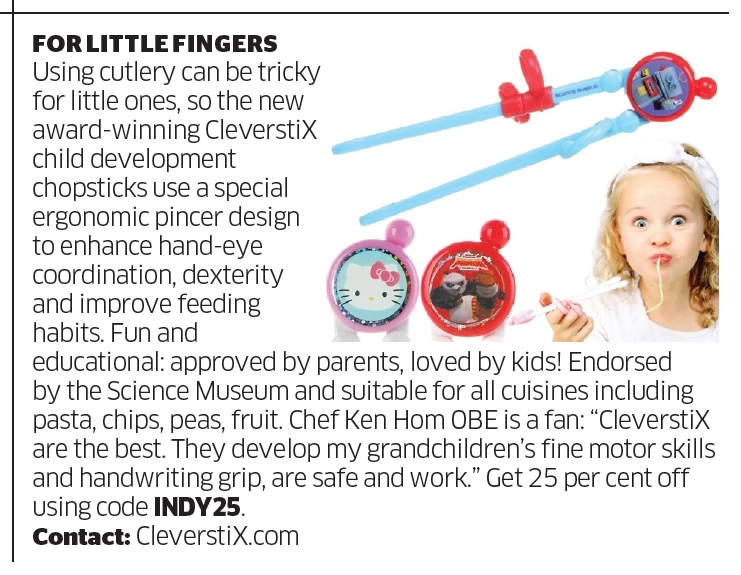 Today’s Independent Newspaper offers an exclusive 25% off CleverstiX (21 March 2015)! 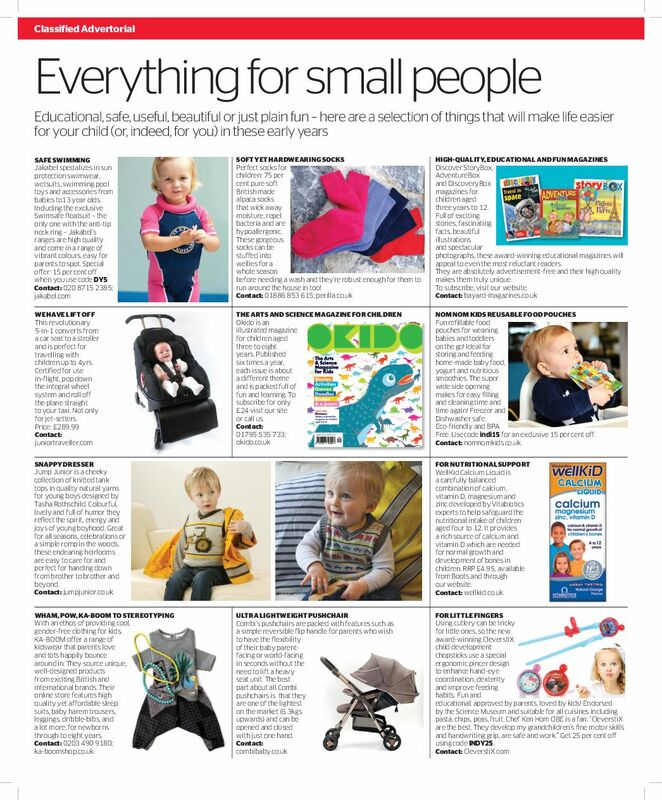 The special ‘Independent Parent’ pull-out advises readers to “Tuck into some important tips“, where page 6 is dedicated to “Everything for small people“. CleverstiX are presented along with a Coupon Code for the CleverstiX.com website. When applied at the checkout online shoppers will benefit from an exclusive 25% discount.